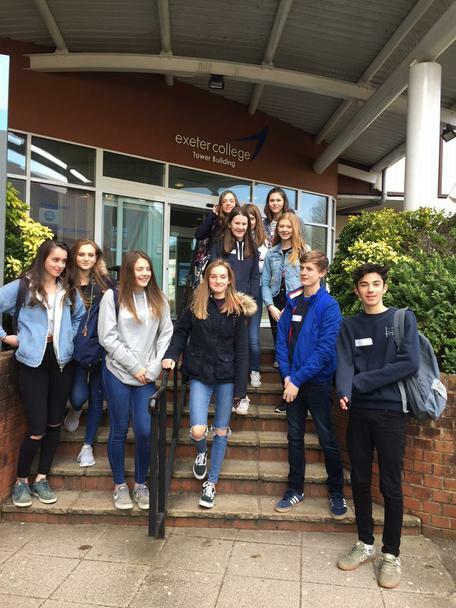 On Friday 23rd February, we were offered the opportunity to take thirty of our Year 10 academically gifted and talented students to Exeter College, for the day, to learn more about their Reach Academy, the International Baccalaureate and to experience some A-Level taster sessions from either Maths and Science or English, Languages and IB or Humanities pathway. We also had tour of the college and talks by students currently studying there. Angela Stubbington, the Exeter College organiser, said the pupils were a credit to us. Thanks to Miss Trainor-Roulstone and Mrs Lovegrove for helping to organise a fabulous day.